What is Mrs. Green’s World? 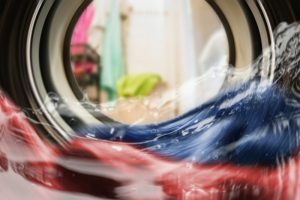 About 80 to 85 percent of the energy involved in washing clothes is used to heat the water. Switching your temperature setting from hot to warm can cut energy use in half. Green Tips are brought to you by Tucson Electric Power. Power The Movement. Become A Member. Copyright 2019 All Rights Reserved Mrs. Green's World. Website by BRINK.